Comfort and convenience are the hallmarks of West Chester Dental Arts’ office operations. To ensure your convenience, below is the information you need about our hours, location, appointment scheduling, insurance acceptance, and billing. We would also like to note that there is always a doctor on call for true dental emergencies. The phone numbers for those doctors can be found on our answering machine after hours and on weekends. Closed on Holidays and Sundays. Our practice works with most dental insurance companies used by the major employers in our area. Our goal is to maximize your insurance benefits and make any remaining balance easily affordable. If you have any questions regarding your insurance benefits, please don’t hesitate to call our office. Our Patient Care Coordinators are looking forward to answering all your questions. 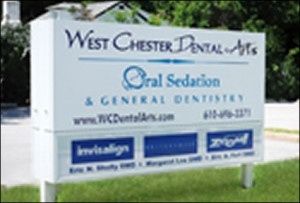 West Chester Dental Arts makes every effort to schedule patients when it is convenient for them. That is why we offer early morning and evening appointments. With three dentists and three hygienists, we can often accommodate patient appointment requests within one week. For emergencies, we will often see you the same day you call. We don’t want you to be in discomfort any longer than you have to be. If you will be a new patient to our practice, welcome! To expedite your first appointment, please see our New Patient page where you can download the forms you’ll need and have them filled out for your first visit. We accept cash, personal checks, VISA, Master Card, Discover, American Express and some FLEX accounts offered by employers. We also offer interest-free financing through Care Credit.